Today’s Daily Connect is all about a nifty tool that allows you to paint with words. Ideally, it will be someone else’s words that you will paint with. 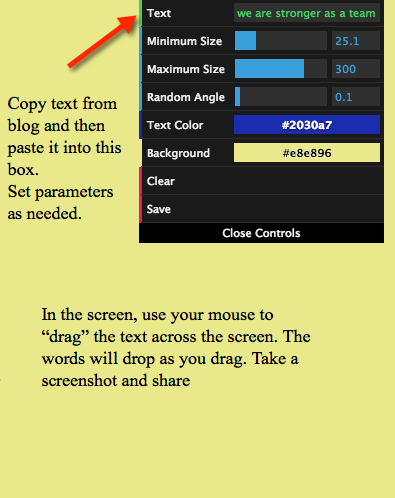 Find someone’s blog post or tweet or idea that has been shared. Within that post, find a sentence or two that resonates with you. 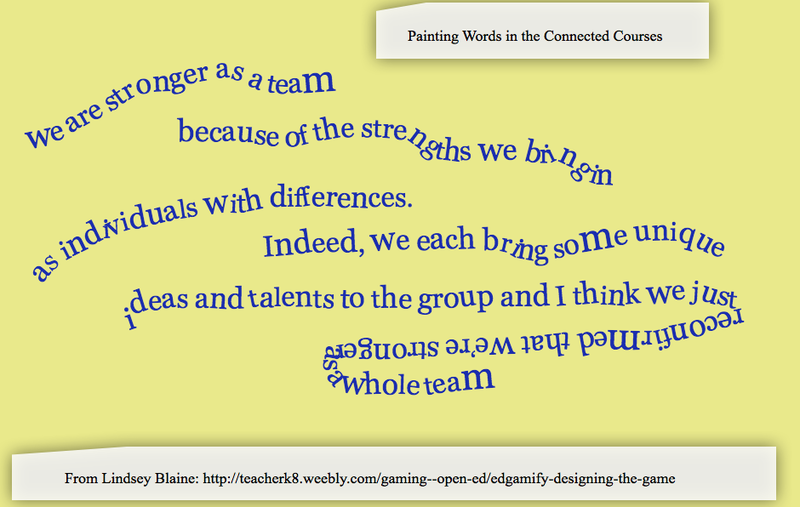 Then, copy those resonating words and head on over to the Visual Poetry tool. After launching Visual Poetry, paste the text into the appropriate box, establish the settings, and use your mouse to “drag” the words across the page. The example I have created at the top is with texts from Lindsey Blaine’s post about designing a video game curriculum, where she writes about working with a small group of people who are up to larger things. This seemed like a natural fit for making connections, right? How about you? What words will you use to paint your connected masterpiece today? Be sure to share out.